73! 85! 12! Omaha! ... Hike! It's football season (that's American Football I'm talking about here). For those that aren't all padded up and hitting the field, you can play Football 21 instead (though I guess you could still get all padded up, but it's not necessary). 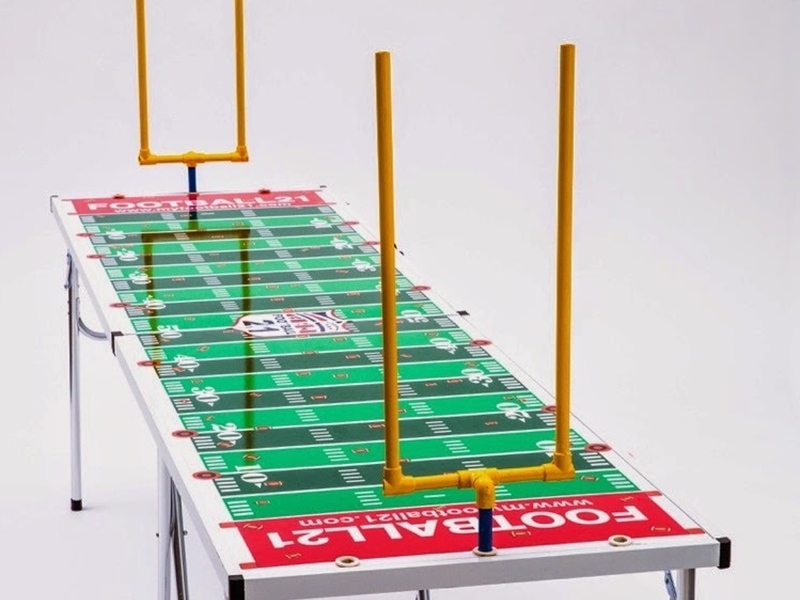 Using poker chips, dice, and little foam footballs on a custom-made table, you are trying to score 21 points before your opponent. Just like the real game, you can pass, play a run game, blitz, intercept, and score via touchdown or field goal. It's a bit dexterity-based, a bit strategic, and all football. The campaign just launched and is set to run for another 29 days.